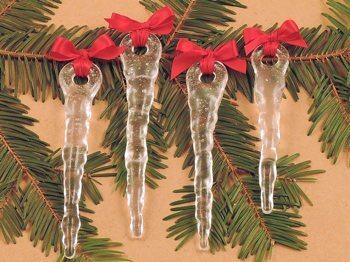 Create sparkling icicles for Christmas trees and holiday windows with this design. They are super easy-to-make. Just fill the body with coarse frit and the ring with medium frit and fire. Make them really special by hanging them with holiday ribbon. Three or four make a perfect small gift for friends and colleagues. 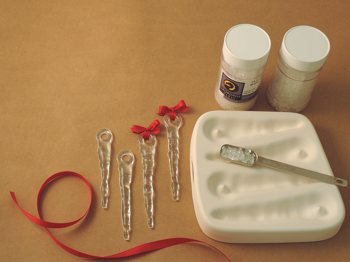 They also make great embellishments - just leave the loop unfilled. 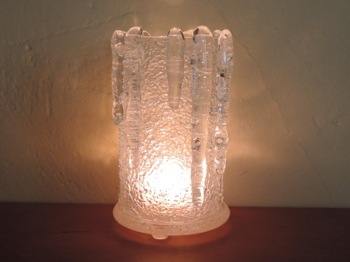 The finished icicles range from 4.25 to 5 inches (10.5 to 12.5 cm) long. 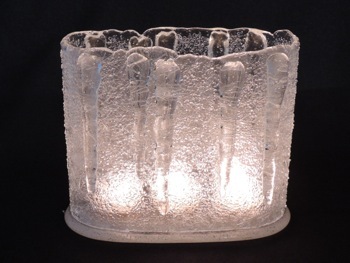 The mold is 6.5 by 6.5 inches (17 x 17 cm) and the cavities hold 17 to 24 grams of frit. Make sure to follow the special firing schedule outlined in the project sheet. Click the green LEARN tab above to find full details.